Assumptions: You already have Unity installed, you have a Gear VR headset with controller OR Oculus go and a compatible mobile device. Download VRTK 3.3.0 from Github, master branch as of 10.29.2018. Unzip the file and drag the entire VRTK folder into your assets window. Unzip the download. To import into Unity, go to main nav> Assets> Import Package> Custom Package. Only import the file named “OculusUtilities.unitypackage”. Click “Import” on the following pop-up window. If there is a new version of OVR available, Unity will prompt you to install it, click Yes and allow Unity to restart. Delete the default main camera from your scene (right click> delete). Create an empty game object. Press enter/return while selected to rename it “VRTK SDK Manager”. With your new “VRTK SDK Manager” object selected, add a component using the inspector window. Search for “VRTK_SDK Manager” and click to apply. 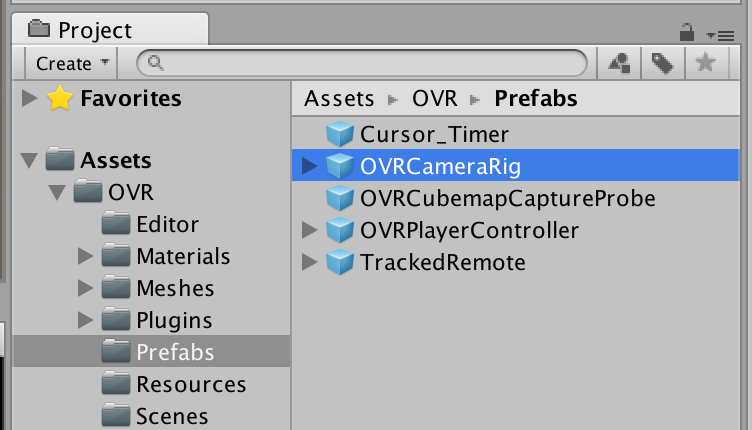 In your assets folder, click into OVR> Prefabs to find the “OVRCamearRig” object. Drag the prefab object into your scene as a child of the VRTK SDK Setup object. Click on “OVRCameraRig” object. 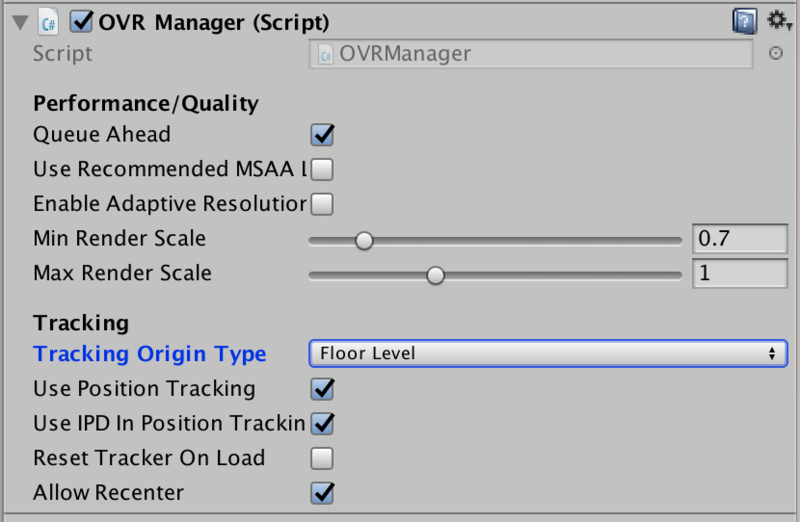 In the inspector window, find the “OVRManager (Script)” and set its Tracking Origin Type to Floor Level. Open up the parent children objects of OVRCameraRig to find RightHandAnchor. Drag the OVR> Prefabs> Tracked Remote into your scene as a child of RightHandAnchor. Lastly, click into TrackedRemote to choose which 3d model remote you want to use. For example, if you are building for Gear VR, turn off the OculusGoControllerModel object by unchecking the box to the left of the object name in Inspector. Then confirm your OVR Tracked remote script has Controller as ‘R Tracked Remote’ & the correct controller model object declared. 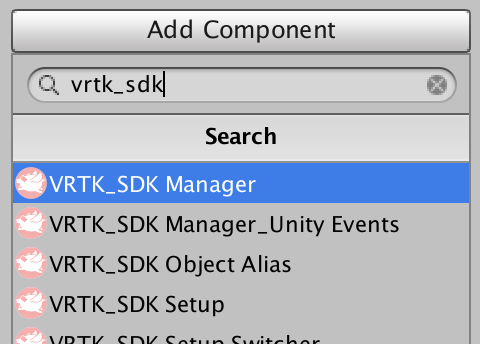 Click on the VRTK SDK Manager parent object. In the inspector, drag the “TrackedRemote” object into the Right Controller field under Script Aliases. Next, click on the Auto Populate button under setups to link your VRTK Setup object. Switch to the go to Main Nav> File> Build Settings. 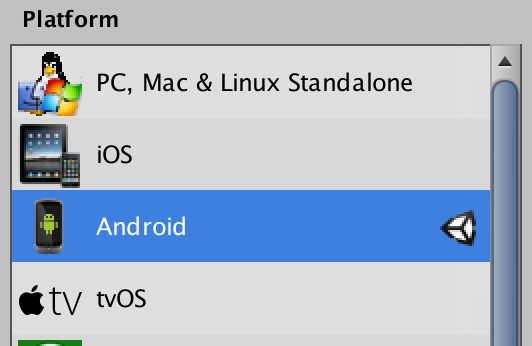 Select Android and then click “Switch Platform”. Close. 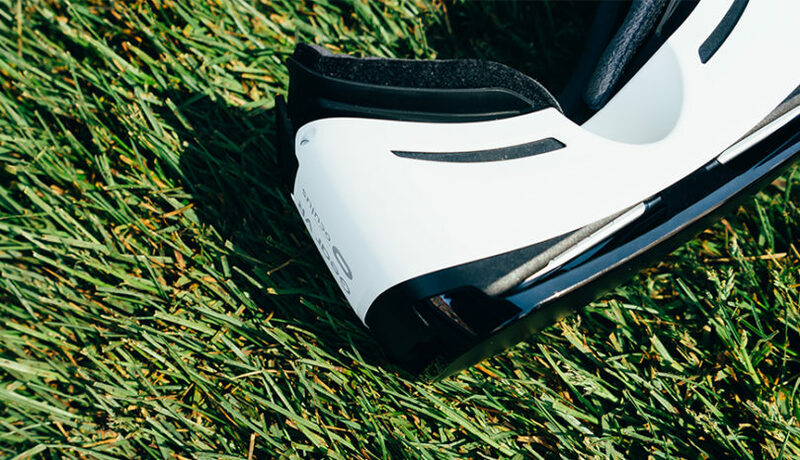 Now you have a basic VRTK setup for Gear VR! Keep in mind you will need to add pointer scripts to the GearVRControllerModel object depending on your project’s needs. Next, move onto this tutorial to set up your scene for teleport. 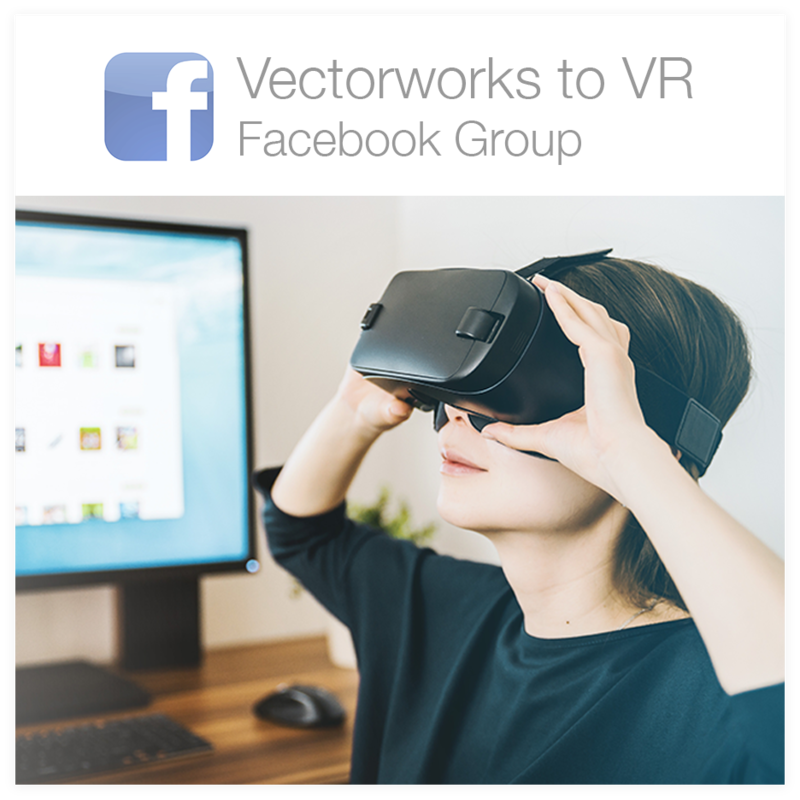 I hope this information will make it easier for you to get started working in VR. One of the goals of ScenicMentor.com is to help designers learn and work faster, giving them more time to create and more easily share their ideas with the world!